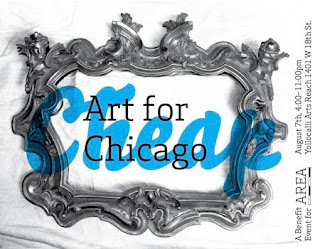 art pilsen: AREA Art Sale this Saturday - Cheap Art For You! 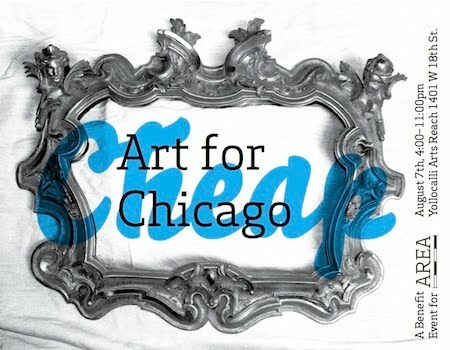 AREA Chicago is pleased to announce our second annual art show and auction, featuring work inspired by Chicago and made by artists living in the city. We’ll have paintings, sculptures, photographs, and more, with starting bids as low as $5! Artists include: Charlie Vinz, DiDi Grim, Mary Patten, Mathias Regan and Amy Partridge, Jayne Hileman, Mary Sea, Marian Hayes, Rachel Wallis, Robin Hewlett, Annie Siegler, Laura Szumowski, Csilla Kosa, Frank Rico, Nicole Marroquin, Rebecca Zorach, Claudia Garcia-Rojas, Kolektif Atis Jakmel, Josephine Ferorelli, Jhonathan F. Gómez, Neil Brideau, Alex Guzman, and more! For more information, email Rachel at rachel.a.wallis@gmail.com.